Me, My World and the stuff. I put a CD named “Divine Chants of India” everyday in the morning. It has becomes a daily ritual. The house feels warm and fulfilled with prayer offerings to Lord Ganesha, Lord Vishnu and Lord Shiva. The incident reminded me that faith knows no religion and music knows none either. This post is for A-Z challenge 2016. My theme for 2016 A-Z Challenge is Every day stories in 100 words. “Hi, seeing you after a long time. Your face has changed.”, he said staring at her chest. “So you have kids?” “No.” She said. “Ohh running after your careers. Good, but theings must happen at their right time.” he said and she slipped away after that statement. The happiness of being at work = Definitely asked for. A reminder of a lost pregnancy = Definitely not asked for. Are men asked the same question about having children? So, the par excellence group of Marathon Bloggers, have come together to take up this new challenge head on. What is it all about? 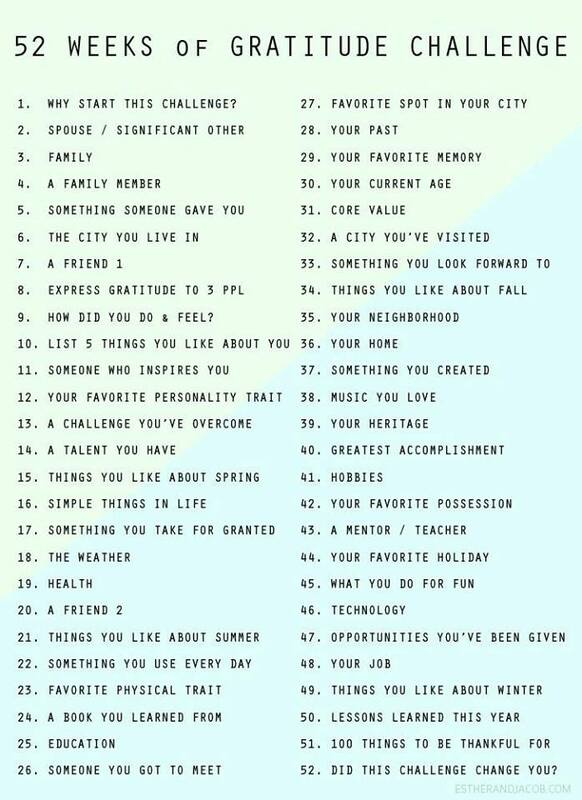 Folks over at Local Adventure came up with this beautiful list of prompts to blog about, all centered around gratitude. So are you taking this up with me? We start from this Sunday aka 4 Jan, 2015.